Interactive video installation. When viewer selects menu items from touchscreen, fast-food worker Jeffu springs into action. 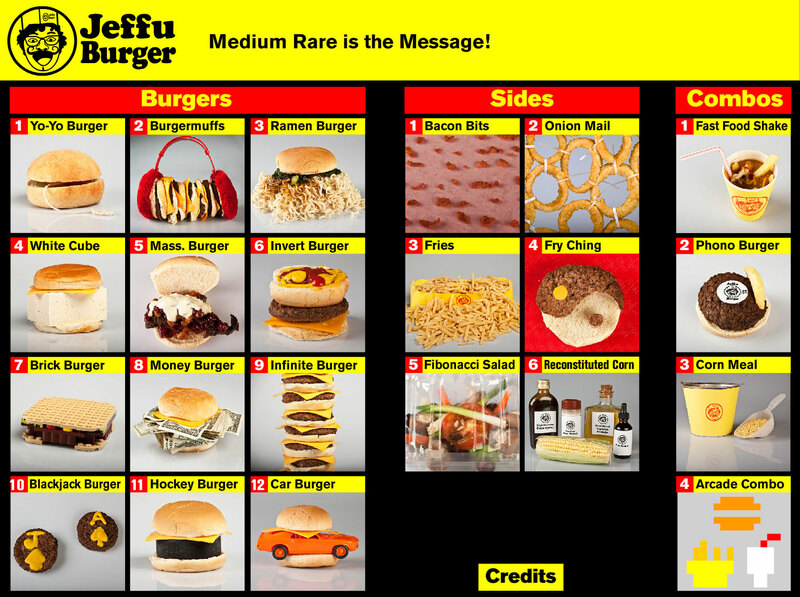 JeffuBurger is an interactive fast-food stand that uses humor to reflect on the cybernetic and cultural experiences of fast food, playfully exploring our culture&apos;s relationship to language, food, and advertising. 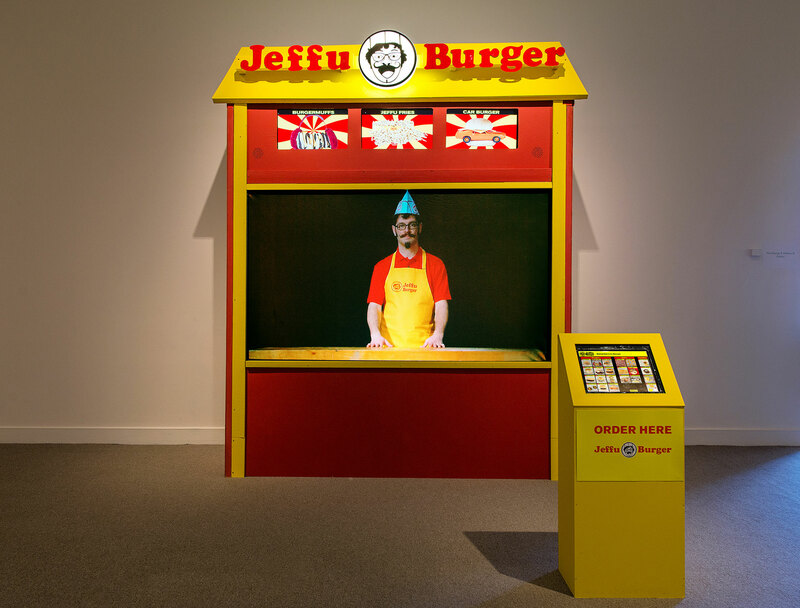 A life-sized video of the artist as fry cook stands ready to serve up viewers&apos; orders, resulting in a frothy mix of conceptual performance, absurdist gags, and sly social commentary. As is an amalgam of all the iconic hamburger restaurants that helped to define American postwar culture and shape its landscape, JeffuBurger highlights the insidious relationship between technology and consumer culture, and the construction of social identity. The fast-food restaurant represents an economy of excess, of overconsumption, of speed, of stupidity, of branding over substance. It is a detachment from the local, the personal, the ethical, the social. In short comic video performances, inspired as much by Sid Caesar&apos;s axiom “Funny first, philosophical second,” the artist uses semiotics and deep fryer fat to investigate the viewer's relationship to language, advertising, and culture. Viewers order from a touch-screen menu, triggering the virtual fry cook to prepare conceptual recipes, endure absurd situations, or overturn logic. It&apos;s a whopper of an installation.